EDB recovery software helps to repair Exchange EDB files from the dismounted or offline database. Moreover, the tool recovers deleted exchange emails and restores emails, contacts, calendar, tasks, notes, journals etc of each user mailbox. Exchange EDB recovery can be performed on single or multiple user mailboxes at the same time. Also, the user can select particular mailbox items for recovery. Each user mailbox creates a new separate Outlook file after complete EDB recovery. Restore and recover Exchange deleted emails and other file items like contacts, calendar, lists, journals etc using EDB recovery software. Also, a user can fix and save the permanently eliminated data in Outlook file format very easily. There are two types of scanning performed to recover EDB Files, depending upon the level of corruption. Quick Scan: This scanning option is used for recovery when Exchange EDB files face minor corruption issue. Advance Scan: When Exchange EDB files face high or intense corruption, then this deep scan option is used. The user can omit or skip a selected Exchange mailbox during the on-going procedure of EDB file recovery. This will limit the selected user accounts for repair and will resume the procedure. Recover EDB file while maintaining the original level folder hierarchy. Additionally Echange EDB recovery tool retains the meta properties like email header info (to, cc, from, bcc, attachments etc). MS Exchange server is a mail server which is used to store and manage emails, contacts, calendar, address-book etc of multiple users in an organization. This Exchange server runs on a centralized window server system in order to access data whenever and wherever required. MS Outlook for Windows and Entourage for Mac are the two desktop bases email client applications that use MS Exchange server. Exchange server stores the data in a mailbox consisting of private and public folders that too stored in EDB file format. But in earlier Exchange versions like 2003, .stm file format also used to store the data. These files consist of native internet content like video, images, audio etc and are called as streaming database files. But in currently running versions, all type of data is stored in EDB file format only. The public folders (pub1.edb) in database stores the data definition, checksum, flags, indexes and other information of the user. Also, the public folder is designed to provide a shared access among the people of the organization. Exchange server also maintains the .log files (transaction log files) which maintain the record of all data going in or out of Exchange Server database. When due to sudden shutdown of Exchange server, EDB files can experience some corruption. Then, in that case, repair of EDB files is required. In case of accidental deletion of EDB data items, recover EDB files is the main option. EDB file exceeded the default file size limit . If a user is facing Jet-error 1216, 1601 or 1605 etc, the user needs to use EDB Exchange recovery utility. Why use Recover Exchange EDB utility? The foremost reason is, if due to any reason the EDB files are dismounted or gets corrupted then there is no inbuilt tool available to fix the file. 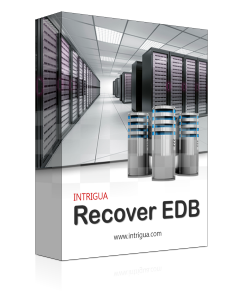 In this situation, Intrigua’s Recover EDB comes in picture. The tool has the ability to repair highly corrupted EDB files and then save it in Outlook file format. Secondly, there is no file size limitation on Exchange EDB file for recovery. You can perform bulk EDB Exchange recovery without wasting any time. Step 1: Download and Install the software and click on “Open” to load the file from the system. 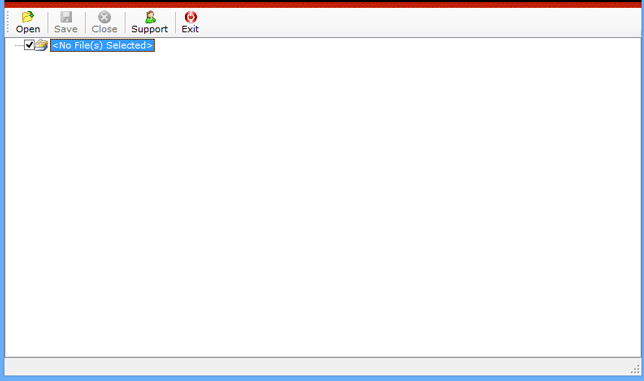 Step 2: A complete EDB file structure will be displayed consisting of multiple users mailboxes. Step 3: Repair and Recovery of Exchange EDB files are started and the option to skip a mailbox is also provided. Step 4: Corrupted EDB files are successfully restored in MS Outlook file format at the targeted location. The video will help you understand the exact functionality and the remarkable features of EDB Recovery Software. 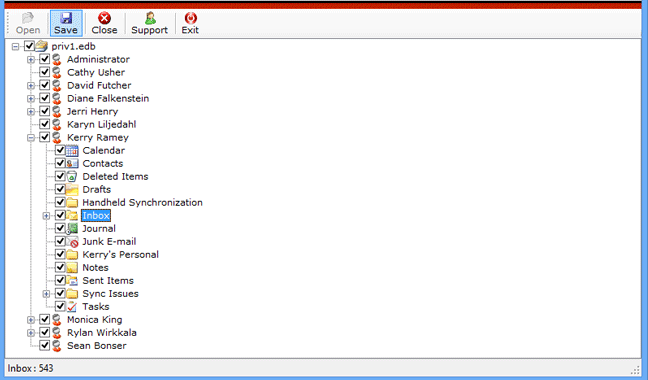 I am not having a properly running Exchange server. Can I still recover corrupted EDB file? Yes, You can still perform Exchange EDB Recovery. You just need the unmounted copy of EDB files for the procedure. Is it possible to repair multiple user mailboxes at one time using Recover EDB tool? Yes, the application is capable enough to repair and recover bulk user mailboxes congruently. 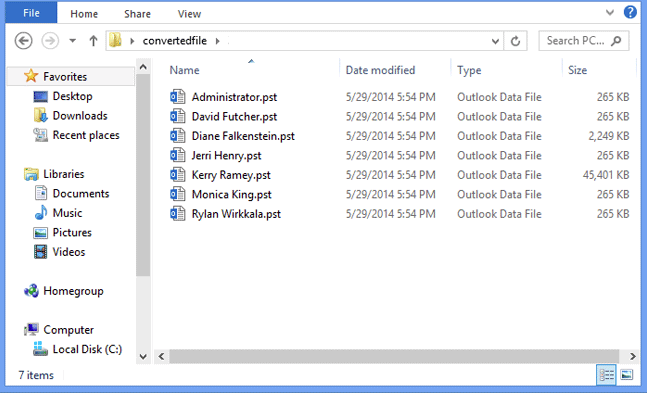 It will save the EDB files in separate Outlook files after fixing. I tried Eseutil and failed to repair my EDB files. Can still your tool help me in this situation? Yes, you can still debug the problem using our tool very easily. The tool has the option of Advance scan which will fix the highly corrupted EDB files. And then allow you to save it in MS Outlook format. All versions of Microsoft windows are supported by EDB Mailbox Recovery including Windows 8.1, 8, 7, Vista, XP, 2008, 2005, ME & NT. Compatible with Exchange server 2013, 2010 and all the below versions. Recently I experienced a sudden shutdown of Exchange server, due to which some of my EDB files got corrupted. Therefore I was in search of a Software that not only repair corrupted EDB files but also save them in Outlook file format. Intrigua’s Recover EDB utility helped me in achieving both that too with great accuracy. I really appreciate the team for developing a wonderful software. Thanks to the Team for building Exchange EDB Recovery tool. 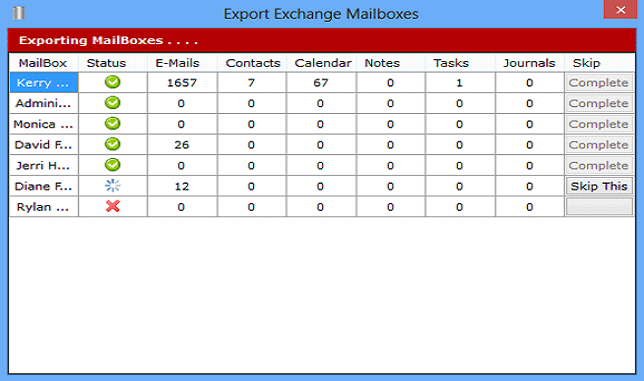 The utility is really powerful and repaired multiple user’s mailboxes like pro. Also, some of my Exchange EDB files are extremely heavy and the software treated them without any issue. Kudos!